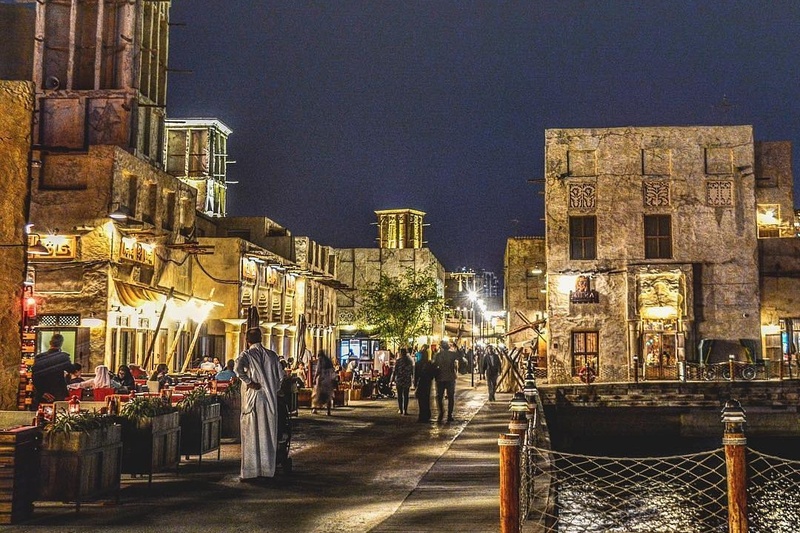 Fancy exploring Bur Dubai on a budget? From enjoying masala dosas at Saravana Bhavan to visiting the Dubai Museum, here are 10 super fun things to do in and around Bur Dubai – all for AED 10 or less! The Al Fahidi Historical Neighbourhood, also known as Bastakiya, is home to some super cool artwork. Just take a stroll around the little alleys and you’ll see a lot of funky street art, quirky cafes, shops, museums and more. There are loads of art galleries to visit in the area, with everything from paintings to sculptures inspired by local culture. Make sure to check out the XVA Gallery, and stop by the Mawaheb Art Gallery, where you can check out the artwork created by people of determination. If you seriously haven’t tried a Vada Pav in Old Dubai yet, you’re majorly missing out! This golden fried potato patty served in a soft bread bun with chillies is delishhh! Veg World cooks up some of the best Vada Pavs in Bur Dubai. One of the top attractions in Dubai, the Dubai Museum is filled with fun facts about the history of our city, cultures and traditions. There are a few other free museums in the area to check out as well, like the Coins Museum and the Coffee Museum. One of our favourite things to do in Bur Dubai, the abra ride will one set you back AED 1. Just hop on to an abra at the Bur Dubai station, enjoy the views and get off at the opposite side, where you can explore the souks. Looking for something to do with the little ones? This summer, BurJuman Mall is transforming in to a nautical-themed event! From giant ball pits to virtual reality experiences, there’s going to be fun for all ages! These guys are unbeatable when it comes to dosas – not just in Dubai, but around the world! If you’re up for some finger lickin’ good food, make your way to Saravana Bhavan’s Bur Dubai branch and order a Masala Dosa. This South Indian restaurant will not disappoint. Checked out the newly-refurbished Al Seef district yet? As you wander through the sikkas, you’ll be able to soak in the Old Dubai charm while discovering the quaint shops and cafes all around.. If you’re in tourist mode, the Al Farooq Omar bin Al Khattab Mosque & Centre is a stunning blue mosque in Dubai that’s open to non-muslims. Inspired by the Blue Mosque in Instanbul, its traditional architecture and interiors make this mosque a must visit! Ever tried a zinger burger from a local cafeteria? Jabal Al Noor is one of the best spots in town to have one, and trust us, you’ll love it! They’ve got great shawarmas and juices too.